Following an MA at the Royal College of Art and a Rome Scholarship, Jenny Franklin has exhibited regularly both in London and abroad. Her work may be found in both public and private collections. Jenny Franklin was born in Durban in 1949. Her work has been driven by memories of growing up in an African landscape of extraordinary splendour. Since settling in London in 1979, she has travelled extensively with her watercolours in search of the dual sources that inspire her work; hot luminous landscapes and the art and artifacts of ancient cultures. 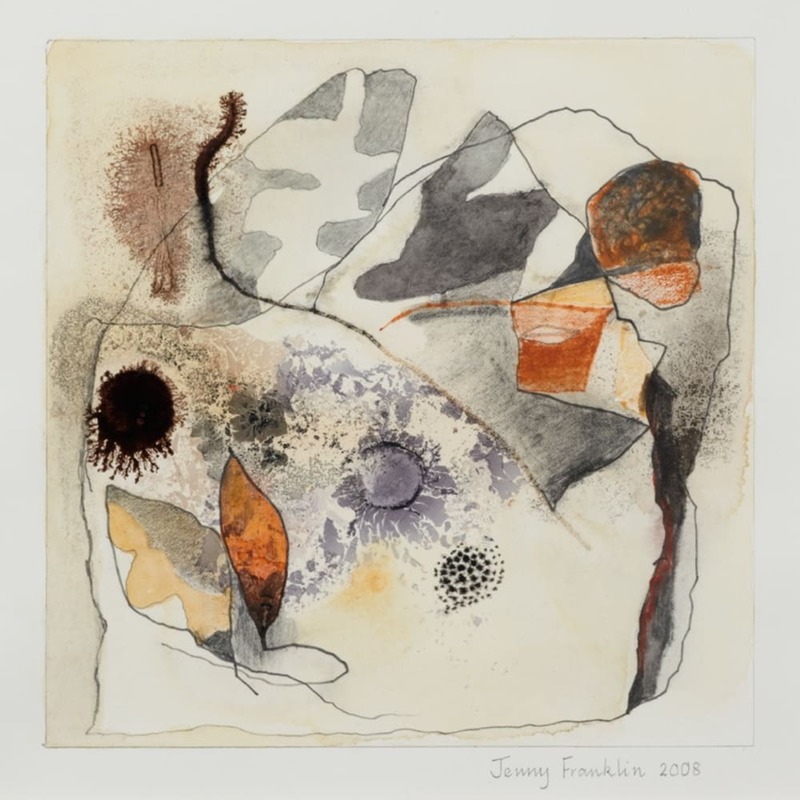 Jenny Franklin has always felt an affinity with the ancient, both geological and cultural. Though her paintings are strongly organic in form, they are in no way topographical with regards to landscape. While some may convey a spirit of place, a process of transformation lies at the hearth of her practice.